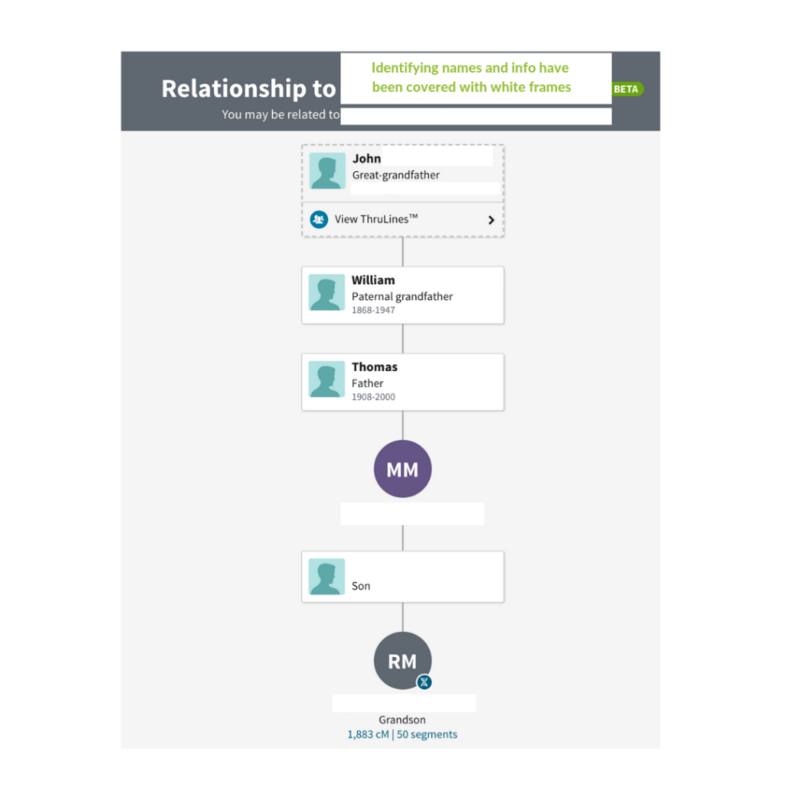 Ancestry released a beta version of a new tool – ThruLines™ – at RootsTech SLC 2019. ThruLines™ is a great visual representation of people you may be related to, taken from your tree and other searchable trees at Ancestry (including DNA matches). 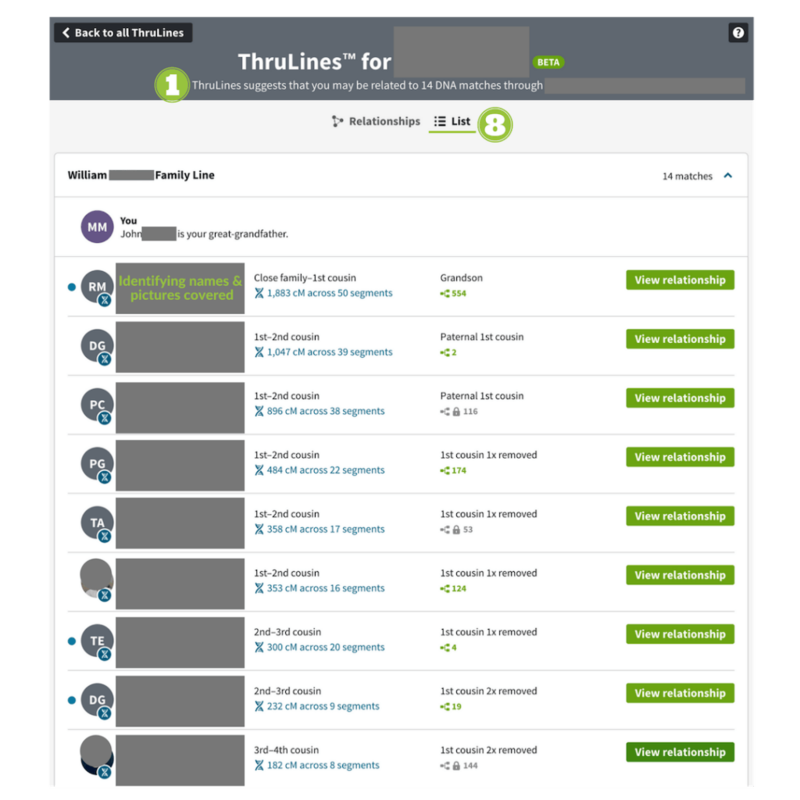 For a limited time, anyone who has DNA tested with Ancestry has access to ThruLines™ without an Ancestry subscription (see the fine print). ThruLines™ may become a great tool but it’s also like leaving a kid in a candy store because they just took the simplest, most potentially unresearched material and put it all within easy grasp in a tempting display. I’m loving it! If you haven’t felt the addictive pull of genealogy before, buckle up. 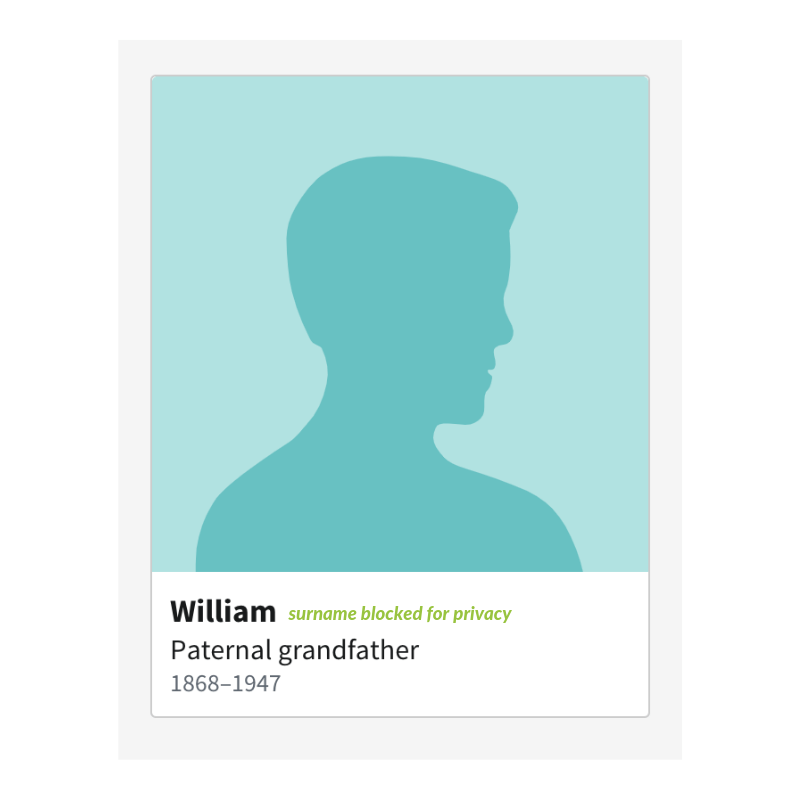 ThruLines™ takes their public and private searchable family trees and shows you possible ancestors, including people based on who your matches believe their ancestors to be. 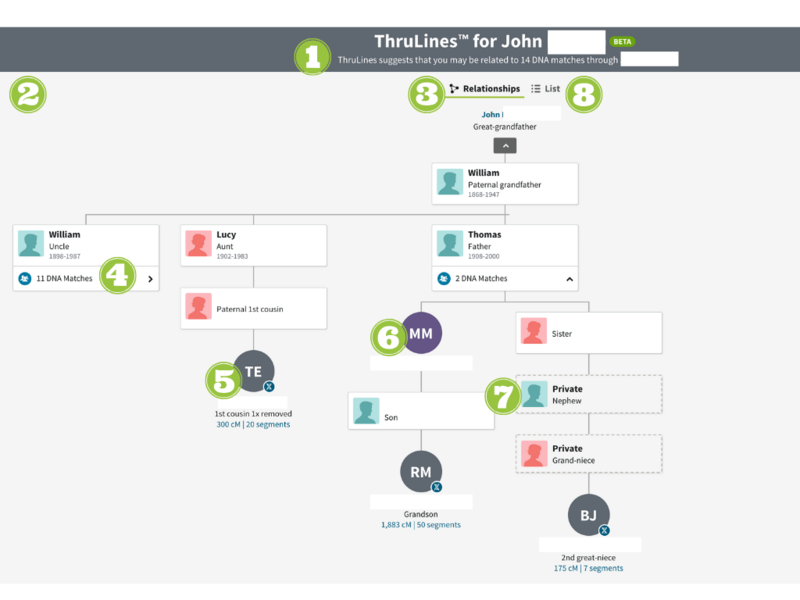 If the ancestor you share matches a person in your tree, ThruLines™ will have a solid line around the box. 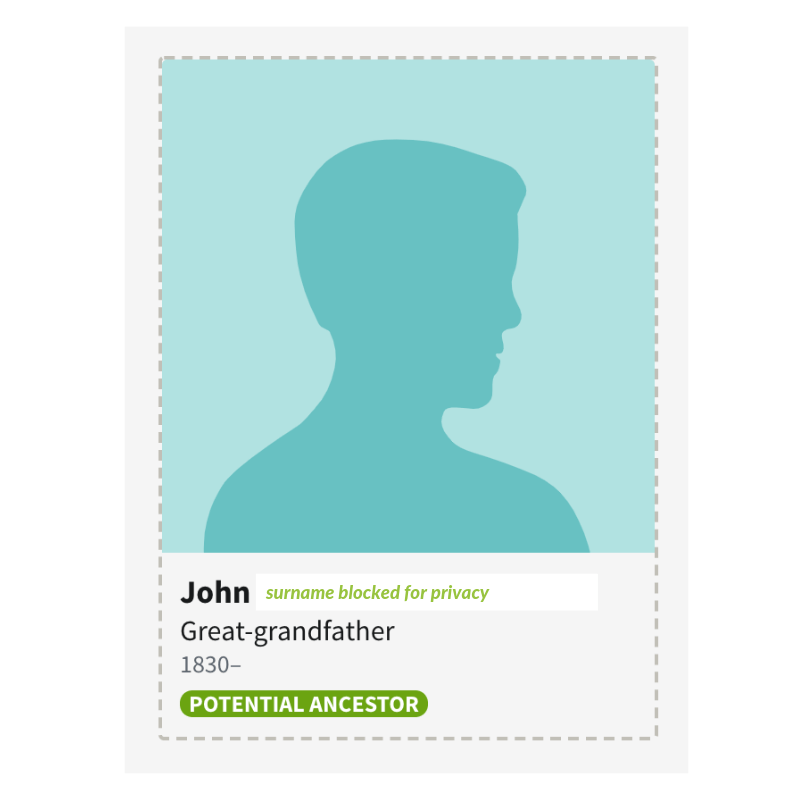 If a potential ancestor you share is identified as a different person in a DNA match’s tree, ThruLines™ displays this ancestor in a box with a dotted line around the box. ThruLines™ is in beta (testing) right now and some people are getting results they know to be false*. Any suggested ThruLines™ result would need to be substantiated through research, but it’s an exciting tool and a fun way to see the family trees of your DNA matches. I love ThruLines™ and have already seen some possibilities for extending a family line where I’d hit a brick wall. I’ll still have to do the research but for now, I’m taking screenshots of all the new leads ThruLines™ is displaying. Even if you don’t have time to research your tree now, it’s a good idea to go to your site, look at your ThruLines™ and take screenshots of potential ancestors and suggested relationship charts because this is just a beta/testing version and results may change/disappear. ThruLines™ shows up in Your DNA Results Summary but remember that it’s based on public and private family trees, not DNA. The “DNA” part of this tool is they’ve gathered your DNA matches and looked at their family trees. Here’s Ancestry’s warning: Since ThruLines are based on the family trees of you and other members of Ancestry, they’re as accurate as the trees they’re based on. Errors in family trees can cause inaccurate ThruLines. I used to have to build Q&D trees (Quick & Dirty Trees) for DNA matches because many matches either didn’t have a tree or their tree was incomplete or private and not easily searchable by me. Now Ancestry is doing this work for me and for a limited time, even people without paid Ancestry subscriptions are being shown tree information that was behind a paywall. I’m going to take advantage of the offering while it lasts.